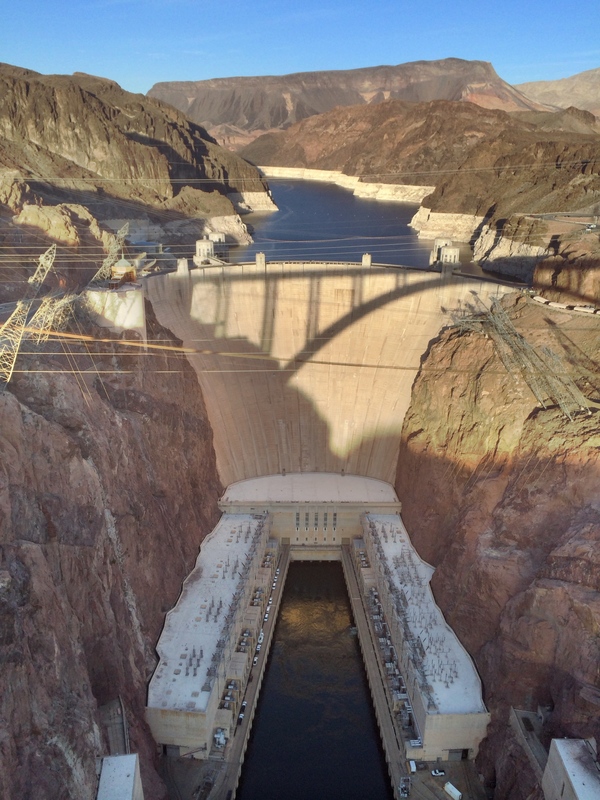 900 ft above the Colorado River (felt like a LOT more) looking back at the Hoover Dam. Photo taken from the recently added (2010) nearby bridge (see shadow of the bridge on the dam face). White specks at the dam base are cars – the dam really is astoundingly big.